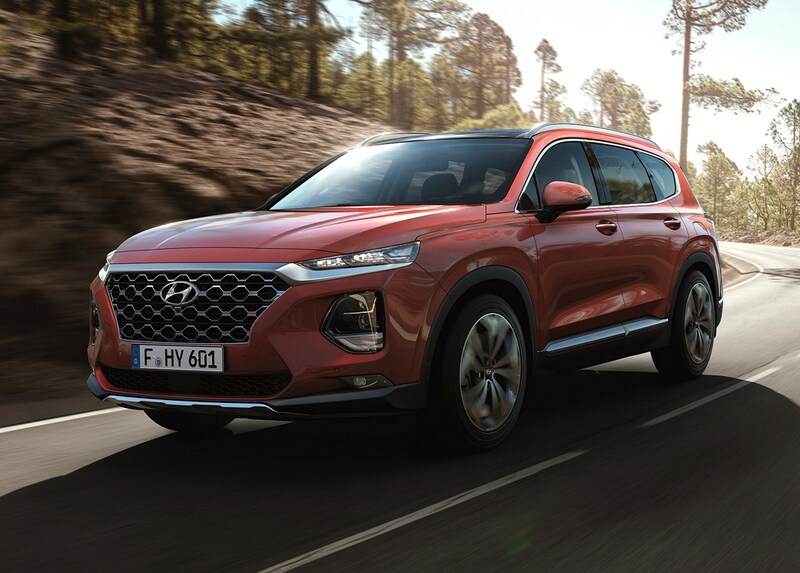 There will only be one engine available in UK versions of the Hyundai Santa Fe – a 200hp 2.2-litre CRDi turbodiesel unit. 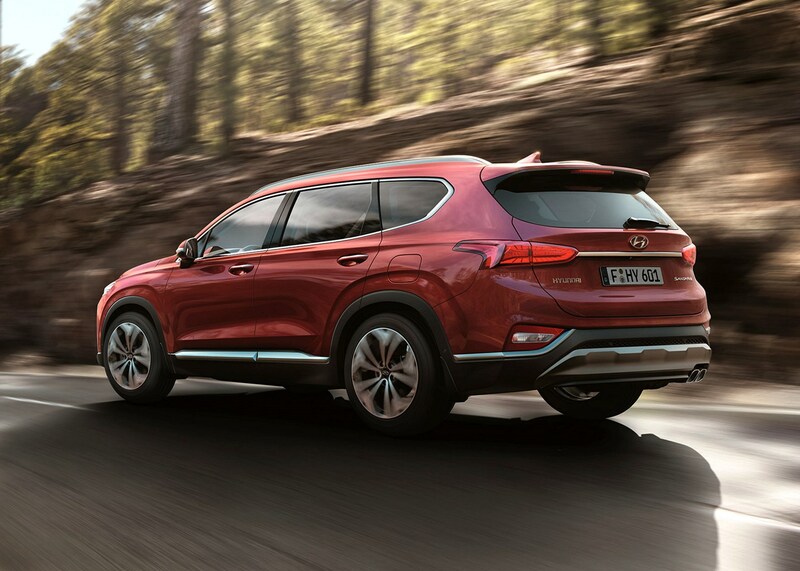 The sole engine offering in the Hyundai Santa Fe is a 200hp 2.2-litre CRDi turbodiesel. 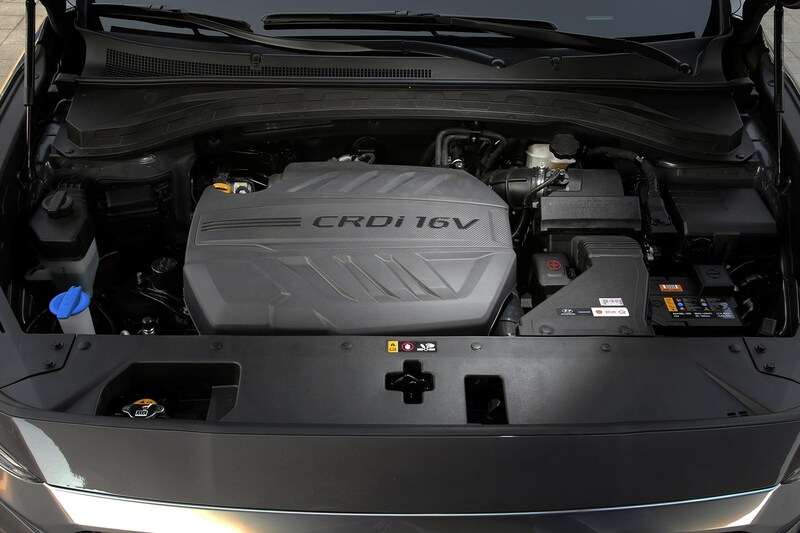 It’s a capable, if not particularly memorable engine, delivering effective low-down pulling power through towards the higher reaches of the rev range. As such, driving around town and on motorways is a civilised affair, with engine noise kept to a minimum under normal load. Torque for this engine is rated at 440Nm while 0-62mph is taken care of in 9.4 seconds in manual two-wheel drive and automatic four-wheel drive form, 9.5 seconds in manual four-wheel drive guise and, finally, 9.3 seconds when paired with two-wheel drive and an automatic gearbox. Top speed is 127mph across the board. 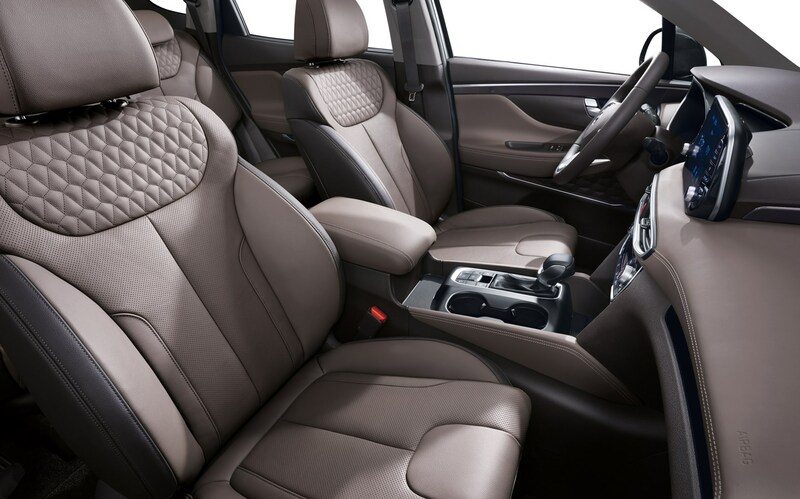 The Santa Fe is available with both a six-speed manual and eight-speed automatic transmission. So far, we’ve only driven the latter but can confirm it’s produces smooth and quick gearchanges. 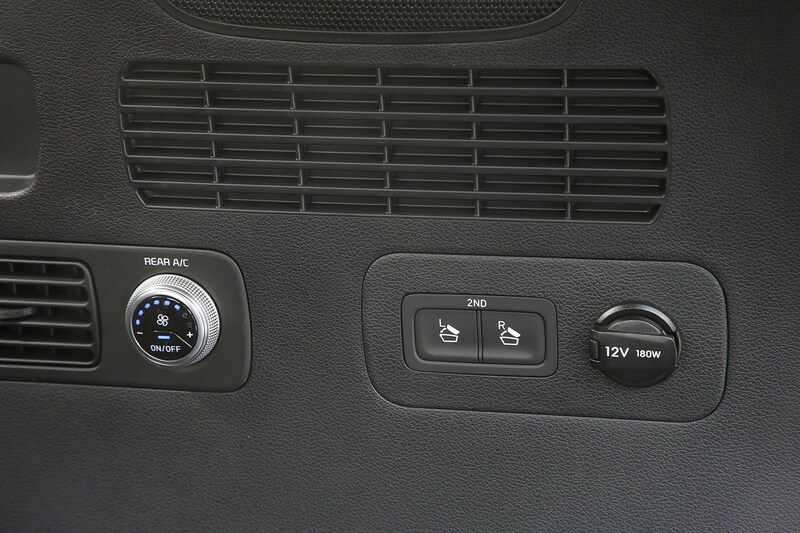 There’s no manual override paddles behind the steering wheel, but you can switch and up and down through the gears using the gearlever instead. 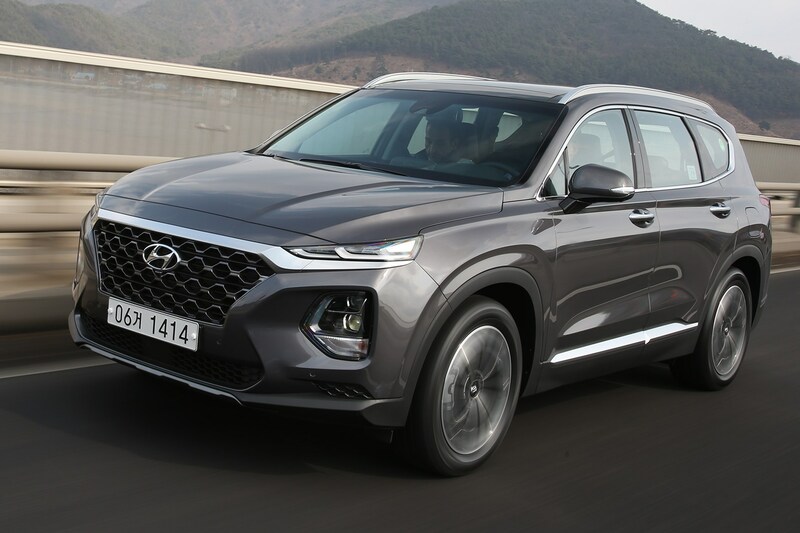 On our initial test drives of the Santa Fe we found the handling was confident and assured, but less enjoyable than, say, a Skoda Kodiaq. 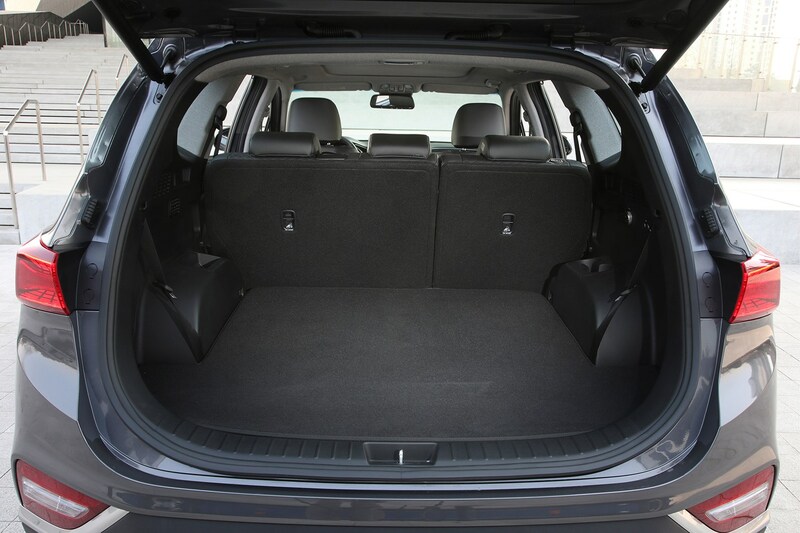 Body roll (where the body of the car leans outwards from the chassis when cornering) is noticeable, but not unnerving and builds-up gradually with plenty of control. It has a relatively large turning circle, which can mean a bit more work when parking or carrying out a three-point turn. 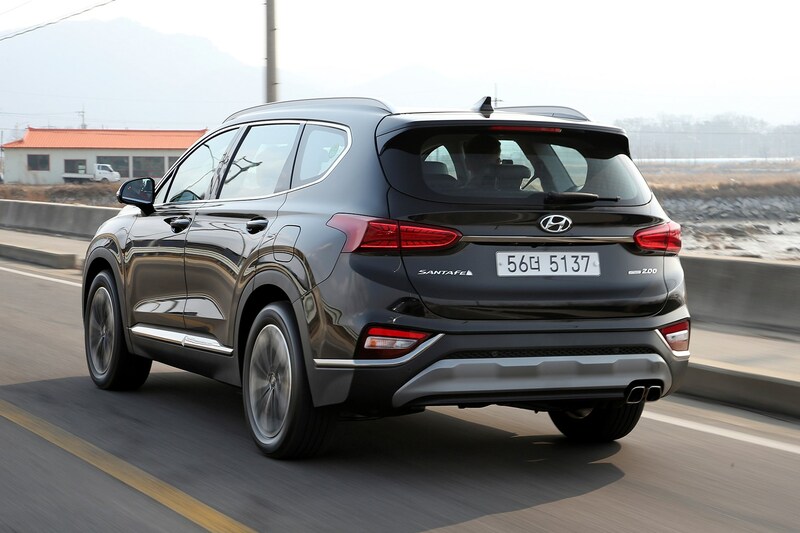 The steering is accurate enough, though, and switching to Sport drive mode adds extra weight that helps to make the Santa Fe feel a fraction more athletic. 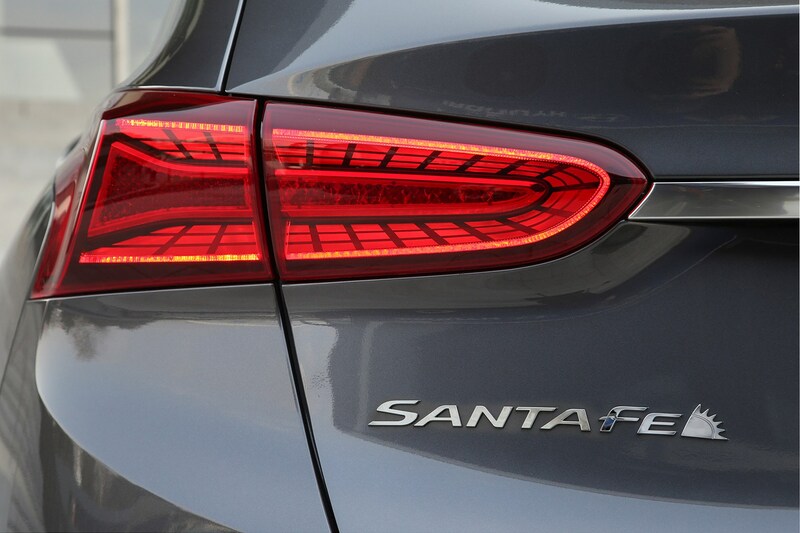 So far, we’ve only driven four-wheel drive versions of the Santa Fe. It’s a capable system, but unless you plan to do mild off-roading, the two-wheel drive version will do just fine. We’ve yet to test it off-road, but with a revised all-wheel drive system and shorter overhangs at both front and rear, it shouldn’t fare any worse than the previous version of this car. And, thanks to its relatively large-capacity 2.2 diesel engine, towing performance is rated at 2,500kg braked and 750kg unbraked – competitive numbers among its contemporaries. 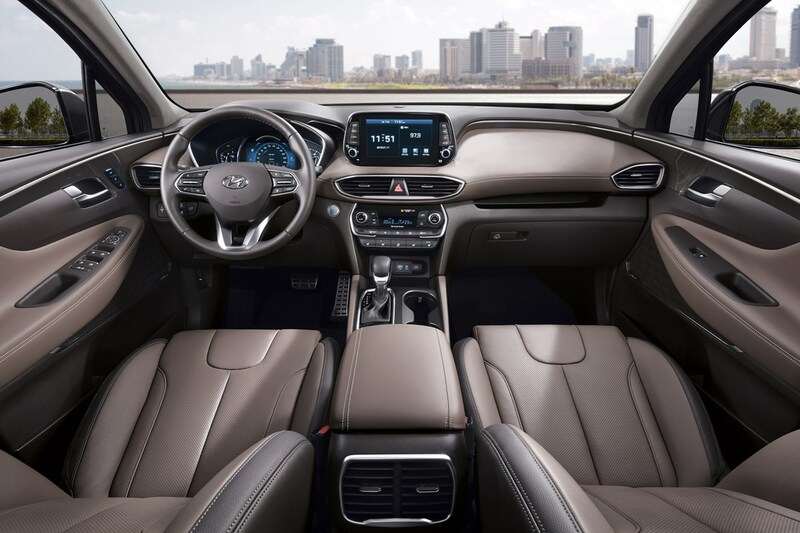 In this aspect Hyundai has made giant strides forwards, and this latest Santa Fe is a far nicer place to be – for occupants in any of the seven possible seats. 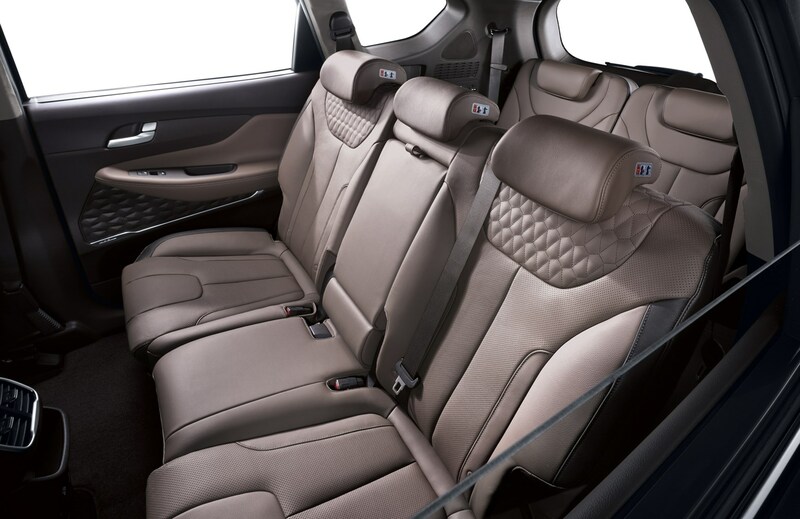 We’ve only sampled higher-spec cars so far but these have been attractively trimmed in what feels like high-quality leather and soft-touch plastics on most of the places you’ll regularly come into contact with. However, it doesn’t take long to undercover some harder, more brittle-feeling plastics in some of the lower down areas in the cabin. 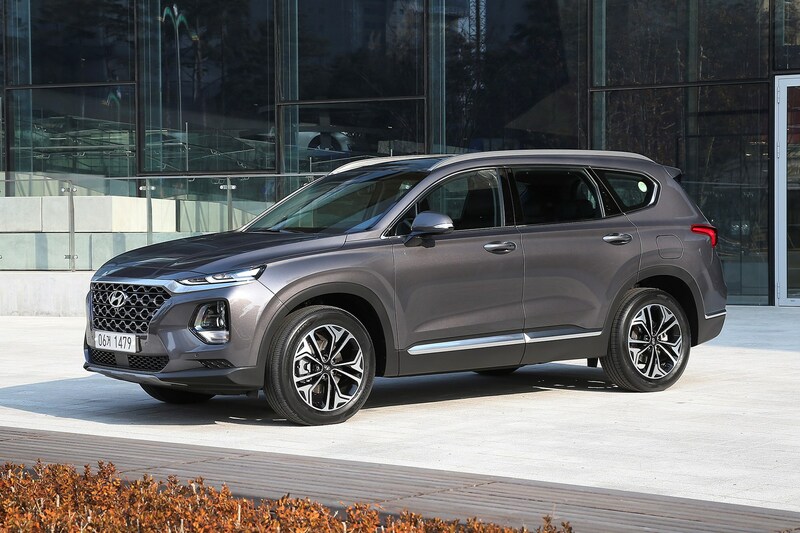 This isn’t a deal-breaker, but a reminder that Hyundai’s premium aspirations are rooted in building cheaper cars that sell in huge numbers in other markets. We don’t think you’ll mind unless you’re used to the best Audi, BMW and Mercedes-Benz can offer – at higher cost of course. 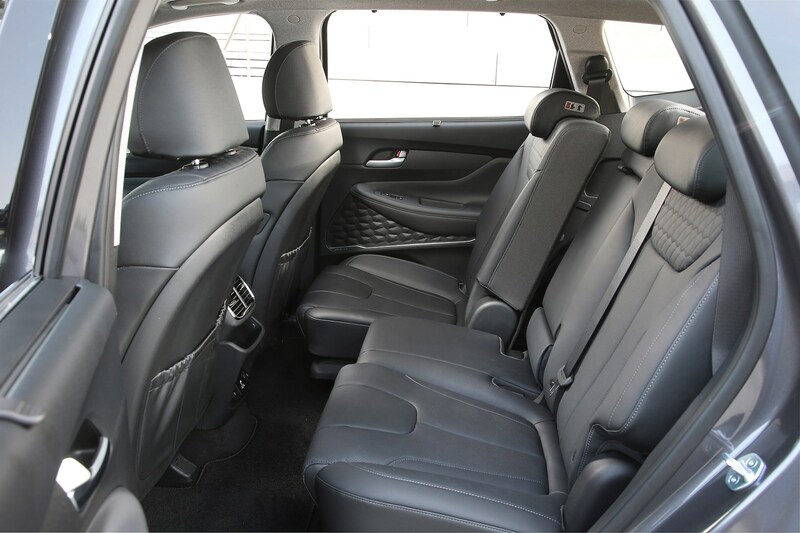 Premium and Premium SE trim cars have a new 8.0-inch touchscreen multimedia system, while base spec SE models benefit from a – still fairly large – 7.0-inch touchscreen. 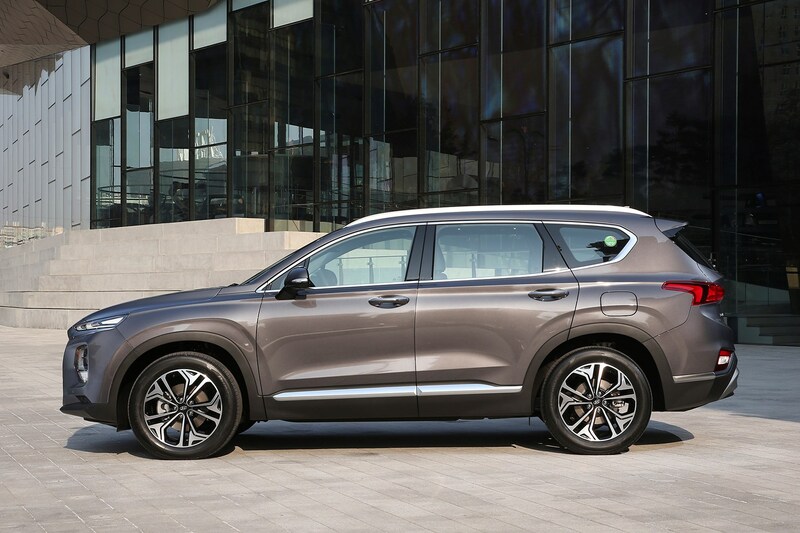 The former features full 3D sat-nav along with Android Auto and Apple CarPlay connectivity, and a seven-year subscription to online services such as live traffic and local fuel price information. Both systems get a rear-view camera as standard. We found the higher spec system’s screen to be responsive enough to navigate without multiple finger-prods, and the processor kept up with the demands of zooming in and out of the navigation mapping without much issue. 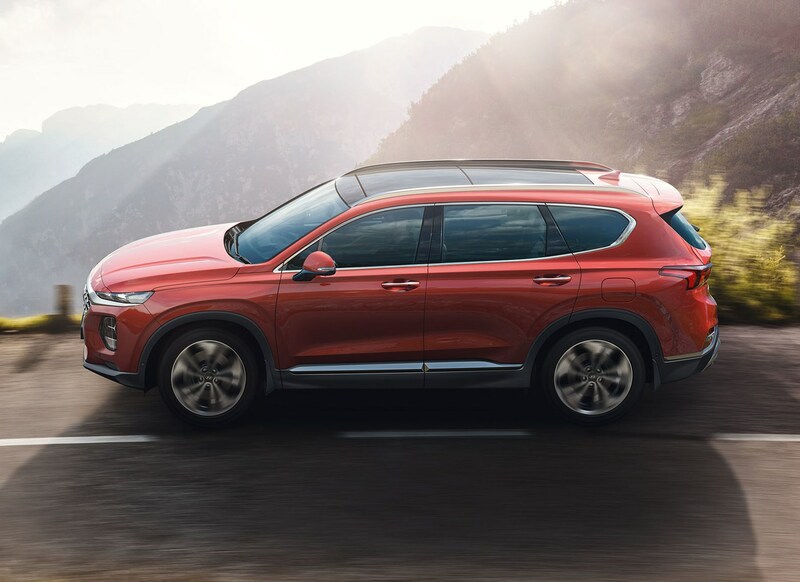 For the first time in a UK Hyundai model, the Santa Fe is offered with a full colour head-up display to project information onto the windscreen in the driver’s eyeline, such as navigation instructions, speed, fuel level or safety/driver-assistance details. An inductive wireless charging pad is available too, able to keep your smartphone topped up if it features such technology. 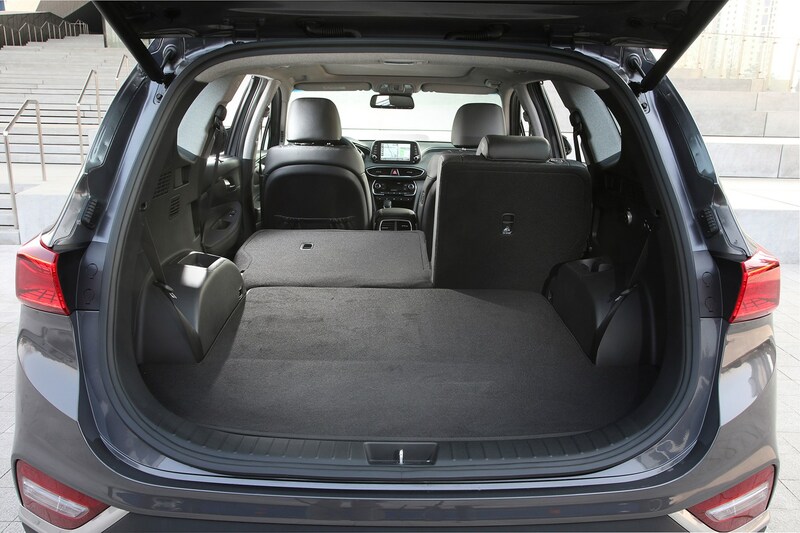 This is a particularly strong area for the Santa Fe. 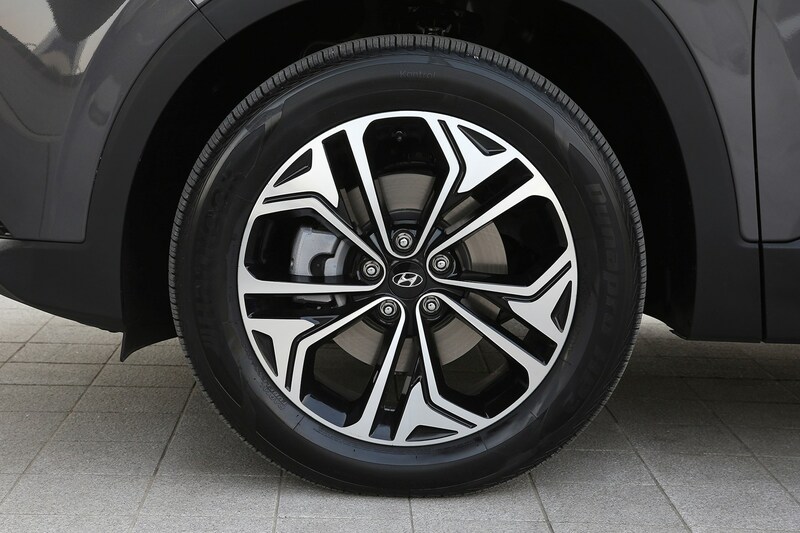 We found comfort levels relatively high, with the only slight criticism being its ride quality is a touch firmer than we were expecting on the largest-available 19-inch alloys we've tested so far. 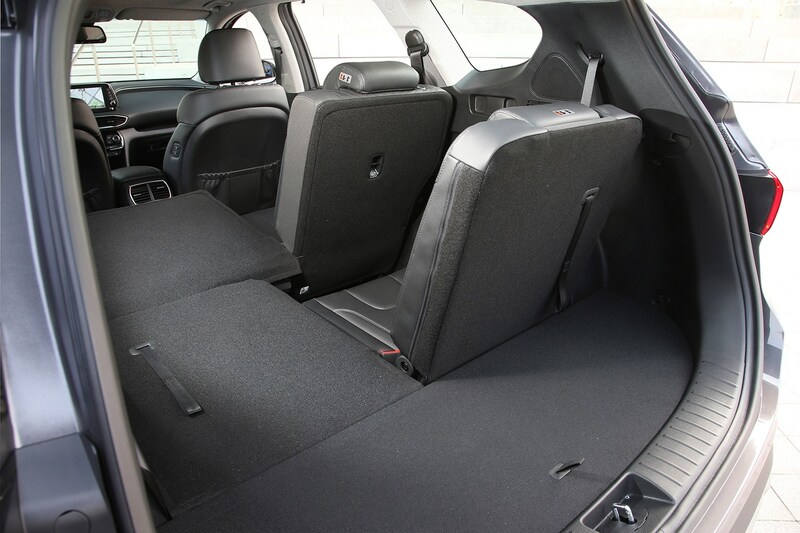 There’s no option for adaptive suspension, so Hyundai has had to compromise between bodyroll and a little extra harshness, but the excellent front seats do make up some of the difference. Engine noise is impressively hushed in the lower revs ­– where diesels can traditionally sound grumbly – but does pick up anywhere north of here. Things do settle down when cruising, yet accelerate up to motorway speeds and you’ll be aware of noticeable wind and road noise. 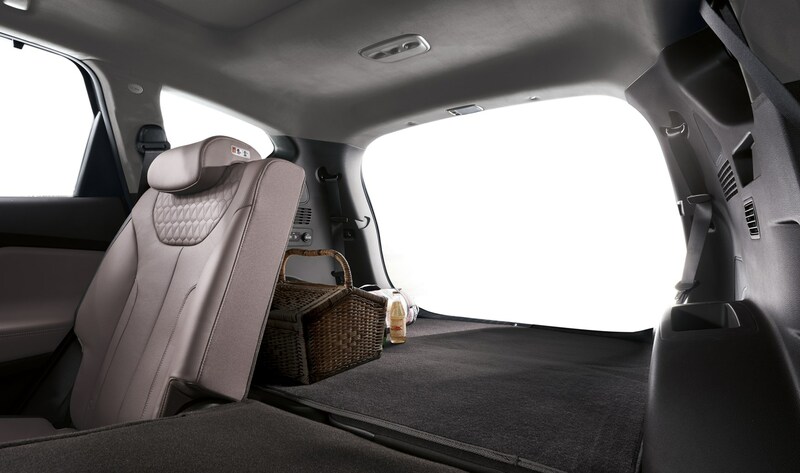 Aside from this, the optional full-length panoramic sunroof provides plenty of light and gives a real impression of space and roominess in the cabin, both front and rear.